Anyhow, I didn’t give lettuce wraps much thought between then and the time I started food blogging and thinking about summer food and the big lettuce leaves springing up from my garden. 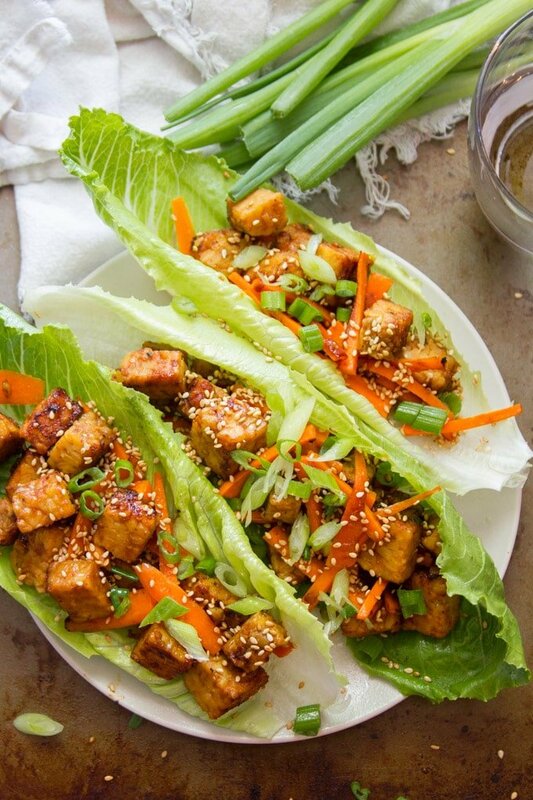 Lettuce wraps now make perfect, delicious sense. Putting all the “carbs are bad for me” nonsense (or sense") aside, a big crispy leaf of lettuce is an incredibly appetizing dinner vehicle during those famous Pennsylvania summer 90% humidity days. And I’m not going to lie: I thought I’d still be hungry after eating a lettuce wrap. I was not. These were incredibly satisfying.